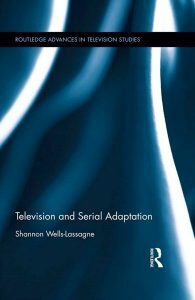 During the month of July, Routledge is making the following book available for download in pdf format for free, as complimentary sharing on ReadCube platform: Television and Serial Adaptation, by Shannon Wells-Lassagne, Senior Lecturer at the University of Burgundy-Franche Comté in Dijon, France. This book was first published in 2017, ISBN:978-1-138-69635-8 (hbk); ISBN: 978-1-315-52453-5 (ebk). The book is part of the Routledge Advances in Television Studies series.